Not much has changed in my life but I figured it would be a good time to ask if you had any others. Feel free to ask me anything. And with that in mind, I'd also love to hear any suggestions on what you'd want to see in the future. A specific topic or project you want me to tackle? A general category you would like to see more or less of? Or maybe something I've never covered at all that you think might be blogworthy. Don't be shy - here is your chance to chime in! edited to add: thanks to a lovely reader ive been told there have been some technical issues adding comments. Im not sure what the issue is but if you are having trouble, i would love to know. just drop me a line. Thanks Donna. Not sure what is up - its working for me too. Sometimes I just hate technology. I was thinking the very same thing That Anlongene wrote. I am sure that the decision to have babies will not come so easy for you and Mr. Limestone because it would mean cutting back big time on traveling and many other things. Your lives would change very much and become more rooted in Brooklyn. That is not a bad thing; but it is a big change never the less. I have loved following your remodeling progress. They've been my favorite posts. Any small or big project you have planned I'm looking forward to seeing. I also love your Invitations & party ideas. I'd love to see your ideas for seasonal parties. I really like decorating with the seasons, just small changes usually. I'm stuck with January though. I don't like most of what I see online for Valentines day either (too childish) so any decorating suggestions for these months would be great. My least favorite posts have been the travel posts ...probably because the exotic places you've been haven't appealed to me. Thanks for sharing so much of what you love! I live in northwest Arkansas, a rural area with cowboys, lots of Asians, Hispanics, Cherokee & traditional Americans. A wonderful place to live. It's been great to see glimpses of city life through your blog & I look forward to seeing more. I love the renovation posts and how to's. I also love, love, love when you post goodies for us to print. I used your Naughty or Nice gift tags and they were a hit with everyone but my nephew. I jokingly checked Naughty and he cried over it for an hour! haha. I also love that you give a run down of the specifics of every room. I must have purchased 10 samples of different whites to paint my moldings and guess what- I saw your post about all the paint colors, bought a sample of what you used and love it. I also love that you showcase your cool finds, I live on Staten Island and never even heard of Every Thing Goes until I saw it on a post. Just a test - responding to your Tweet! You are the go-to girl for information of all kinds. How do you do it? You do so much and work. Why Brooklyn? Seems like you could live anywhere. What do you buy when you go to other countries? How does one travel without getting into trouble? You go everywhere. I would like to travel without fear. Do they speak English most everywhere? Favorite products that you wouldn't want to be without. I have loved following your blog. I just happened to stumble upon it one day & have been hooked ever since then. =) I love seeing how you have renovated everything and love seeing pics from all your trips. I'm hoping to be able to travel more one day. I have been to Europe and several countries over there. Looking forward to much more tho. Until then, I can travel thru your pictures! I love your blog! It may have been one of the very first I followed. You have impeccable taste and style. Seems like everything you do turns to gold! Here's my two cents: I am always interested in before and afters (there can never be too many of those). I'm amazed at every transformation whether it be a room, piece of furniture or a suitcase into a kitty bed! With regards to your traveling: Do you do a ton of research for each trip? What are your resources? What are you favorite online travel sites for making reservations, plans, etc. I can't go anywhere out of the country without spending massive amounts of time trying to understand everything (maps, history, language). You seem to do it effortlessly and I envy that. I'd pretty much follow your blog with whatever you share (except maybe kid stuff as I don't have them and won't be -- not that I don't like kids -- but the subject doesn't interest me). Found you via your episode on Nate and been loyal ever since. Your attention to detail is ahh-mazing and your parties are off the hook! I'll never forget when you repinned something of mine on pinterest... Big moment... Haha. I'm interested in the babies question and where you do your photo editing and graphic design - what program do you use? Are you as independently wealthy as you seem? Oh this is fun. I love all the travels post. I also love to travel but not as often as you do. I am always trying to come up with packing tips. So any hints or tips that you can share for traveling light. I haven't been a follower for all that long so perhaps everyone else knows, but...How can you afford to go on all those trips? Is Mr. Limestone a pilot? My favorite posts have been about the shore house. I grew up in that area. I love all the topics you cover, but my favorite by far are the travel posts. I've only ever stuck to Europe, but I'd like to start venturing out to places more exotic. I always wish your travel posts were longer with more descriptions. I'd love to hear more details of your trips...who you book through, how you get around when you're there, etc. I've been following for quite some time. I'm a book blogger, but I do a feature on Friday called Fridays at Home where I talk about my house projects. I live in a 108-year-old house, so I always have something going on. My question i about your background. You may have answered this somewhere, but is it graphic design? Or something along those lines? As for the blog, I love it. I like that it's eclectic. My own is like that, and blogs that only ever talk about one thing make me feel like the blogger is pretty one-minded (not that they are or that it is a bad thing). I love your travel posts because I love to travel but can't afford to as much as I used to. How far ahead do you typically plan for an event---like say Halloween? Do you start in the summertime, getting together your theme for the Halloween party or do you prefer to do it last minute? My biggest challenge is trying to time it right so I have just enough time to do something special for the holiday along with all the other day-to-day stuff I have to do. I love the renovation posts, stationary and parties. The printables you post make yours one of my favorite blogs though- because suddenly I can look as creative and put together as you do! Thanks! I'm a big fan of your travel postings. Your pictures are gorgeous and inspire me. Ever since you blogged about going to Costa Rica I've been wanting to make a trip there! - How do you make time for blogging such quality content in addition to working at your job, traveling, and remodeling your home? - If you could do any one thing well outside of your job and remodel and blogging, what would it be? Off topic but do you know who makes Restoration Hardware bathroom vanities? Do you plan what you will blog about or is it off the cuff? I'd like to know how to make a simple graphic design and printable. I was also wondering how you select your vacation destinations.  I know it's more Mr. Limestone's specialty, but I'd also like to know about any tricks to frequent flyer mileage programs. Is it practical for us with our once-a-year vacations to join a program? Thanks for sharing so much, because I love it all! huge fan- you have such good taste- I found myself thinking the other day when making odd changes around my house 'what would ms L do!'! I have a bunch of Qs! If u could live in any other country where would it be and which has been your fav destination to date? Why brooklyn, did u grow up in NY? Did u do a graphic design course or are u self taught? What camera do u use? What does mr L do for a living? Thanks for sharing so much of your gorgeous life, u are an inspiration!